Tram route 2 will be diverted at night from Sunday 11 September to Tuesday 13 September as well as from Tuesday 20 September to Thursday 22 September. The diversion will be in place from midnight until the end of service, i.e. about 2.30am each night. The diversion is due to track work on Runeberginkatu. On the nights of Sunday 11 Sep/Monday 12 Sep and Tuesday 20 Sep/Wed 21 Sep, the tram will be diverted in the direction of Nordenskiöldinkatu. 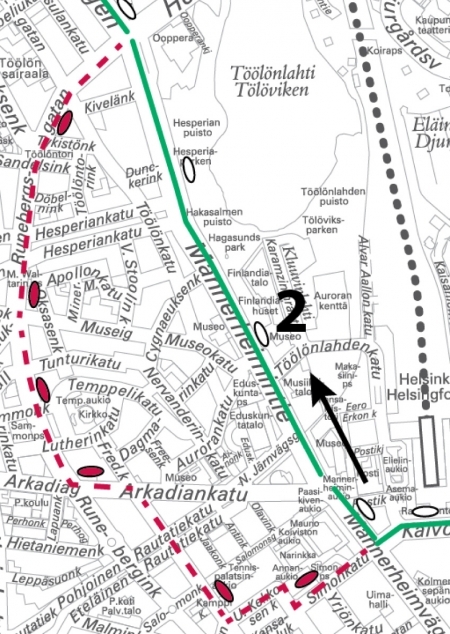 The tram will run directly along Mannerheimintie between Simonkatu and Runeberginkatu. The tram will not serve Simonkatu, Fredrikinkatu, Arkadiankatu and Runeberginkatu. In the direction of the Olympia Terminal, the tram will run as usual. On the nights of Monday 12 Sep/Tuesday 13 Sep and Wednesday 21 Sep/Thursday 22 Sep, the tram will be diverted in the direction of the Olympia Terminal. 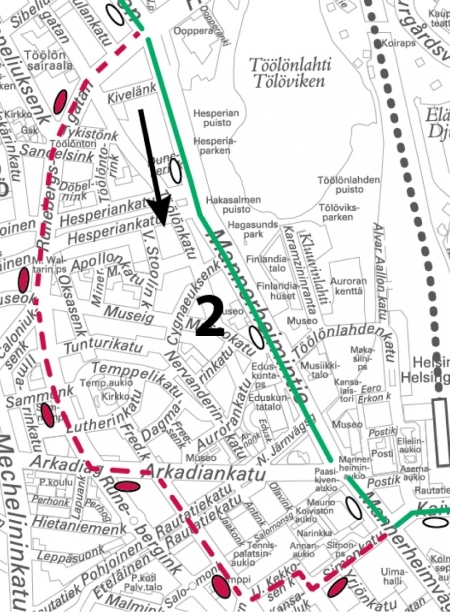 The tram will run directly along Mannerheimintie between Runeberginkatu and Simonkatu. The tram will not serve Runeberginkatu, Arkadiankatu, Fredrikinkatu and Simonkatu. In the direction of Nordenskiöldinkatu, the tram will run as usual.